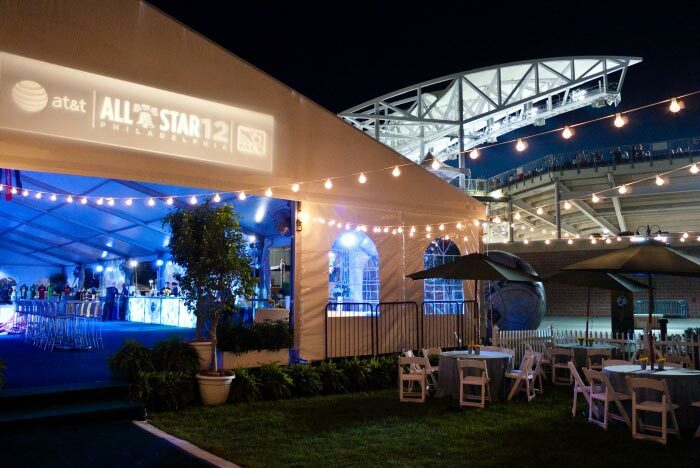 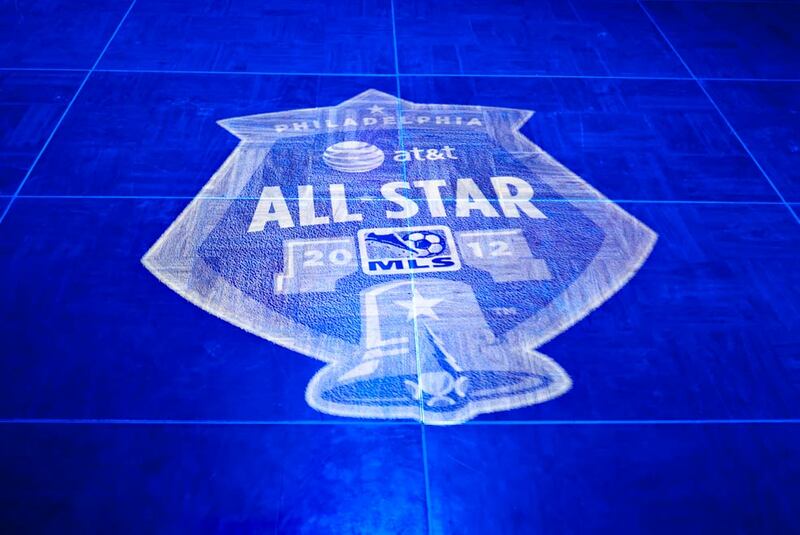 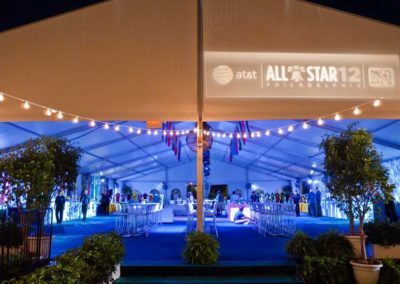 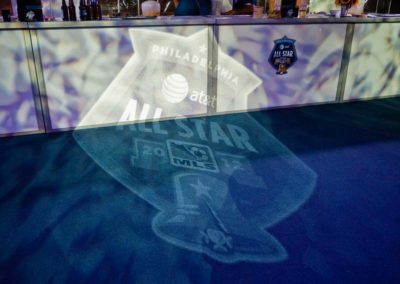 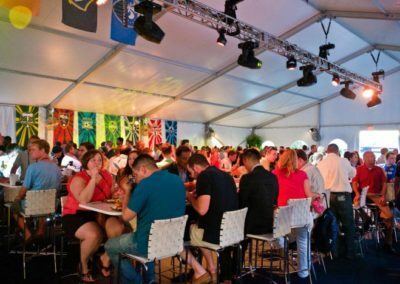 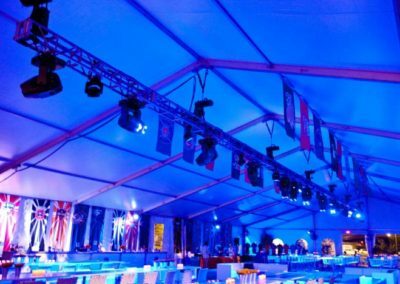 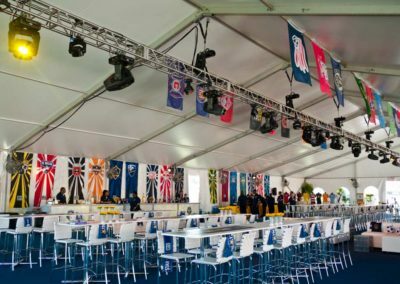 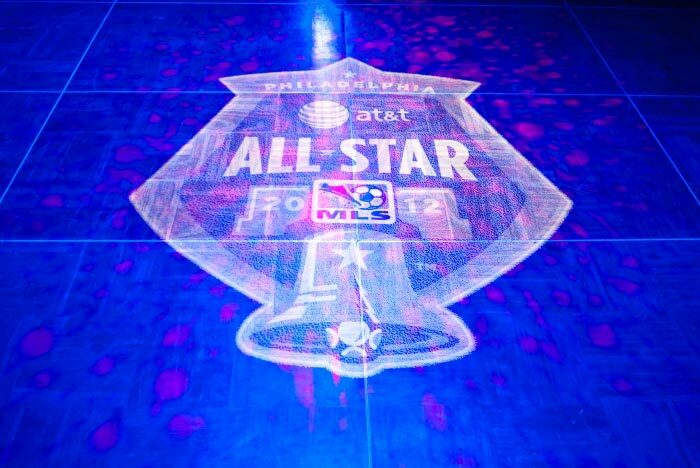 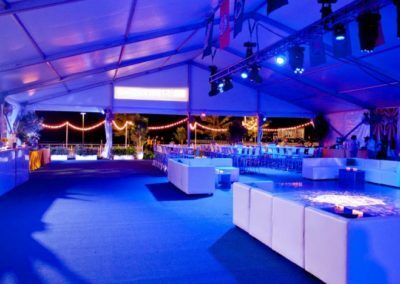 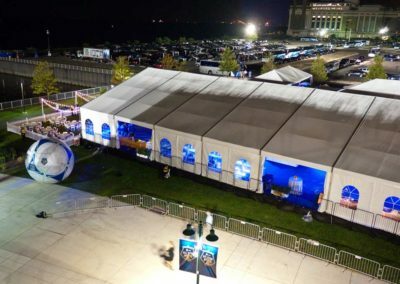 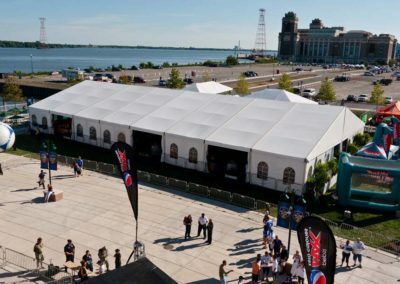 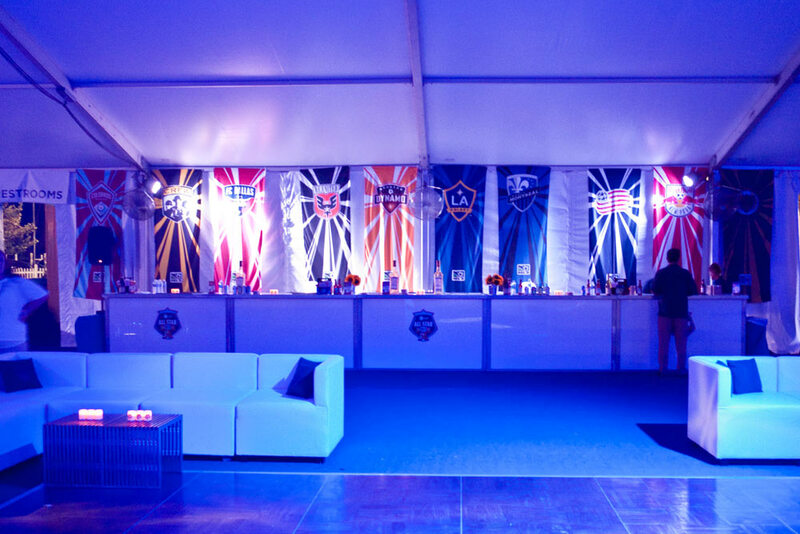 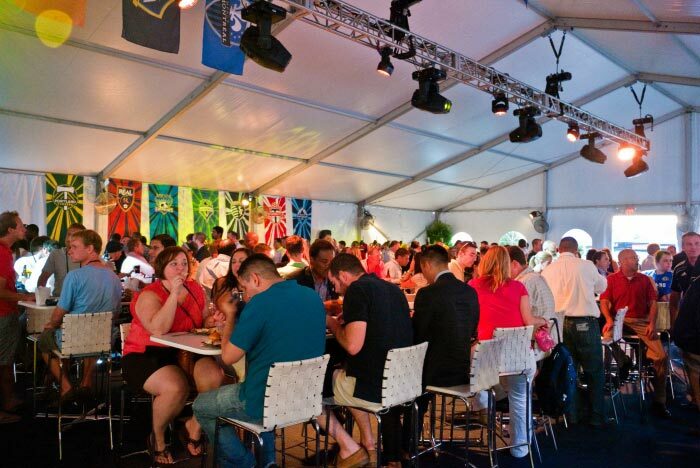 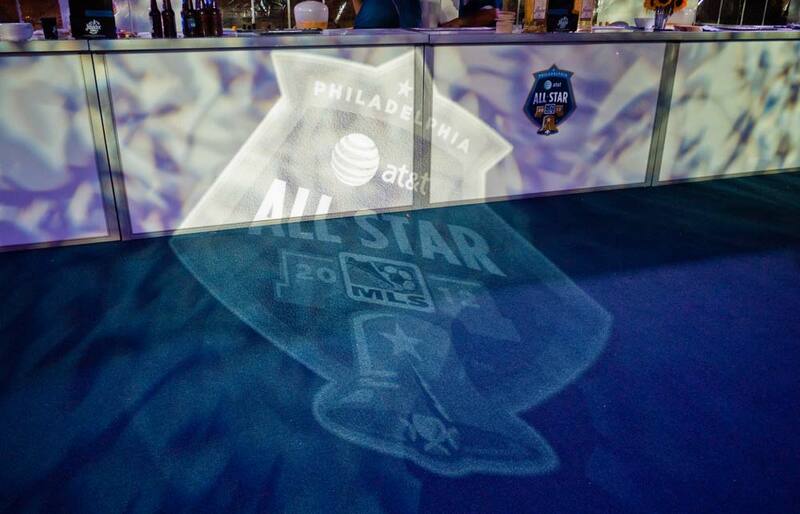 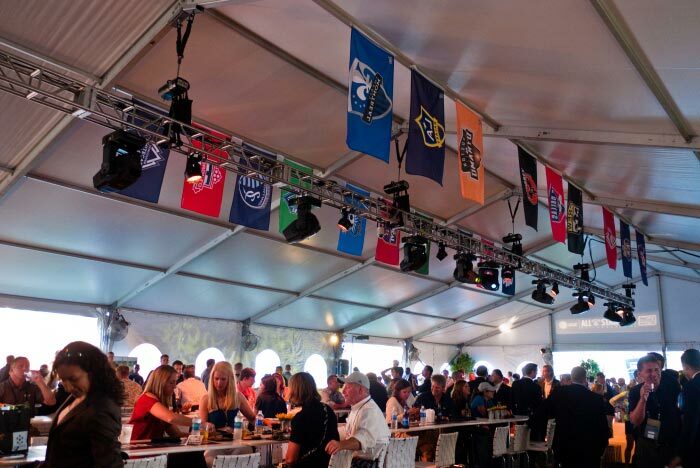 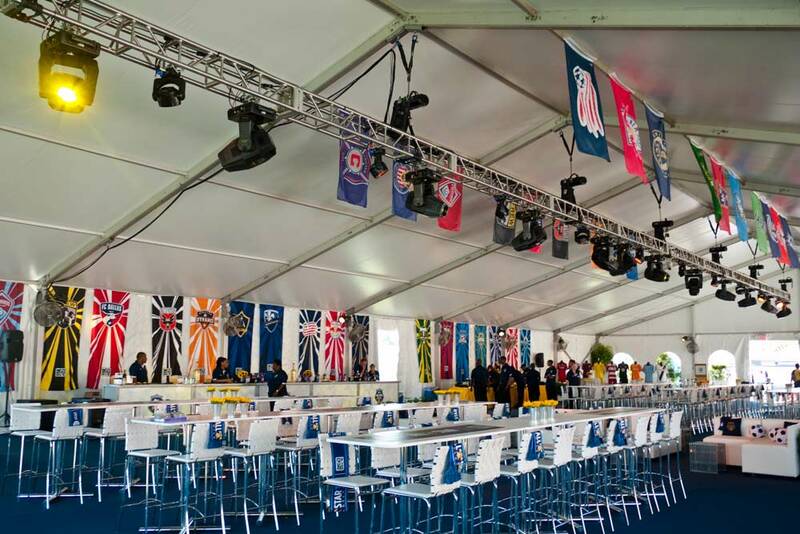 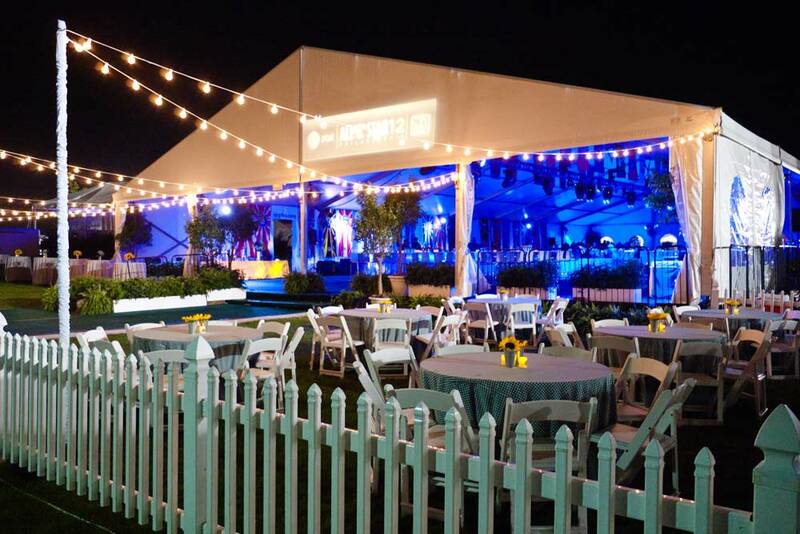 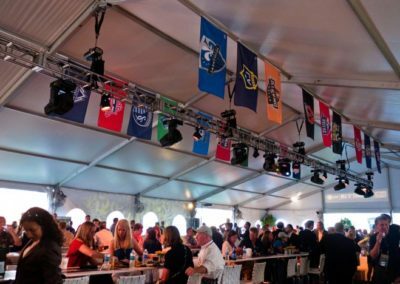 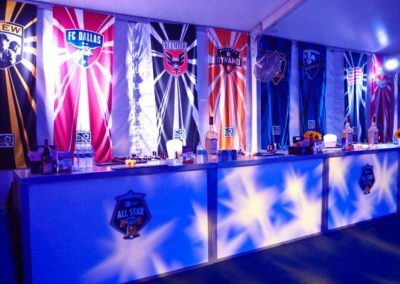 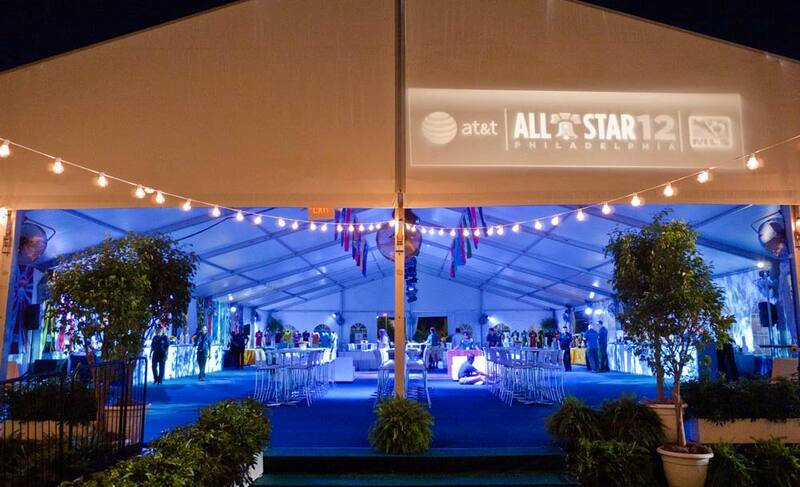 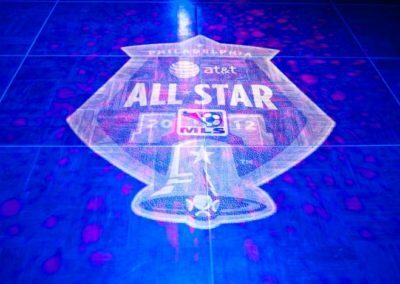 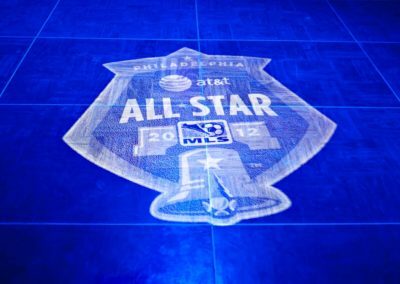 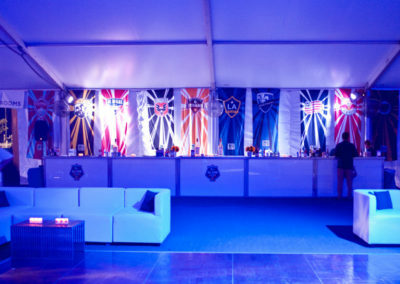 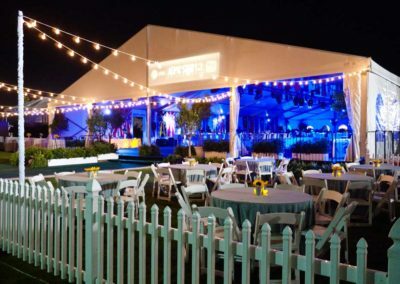 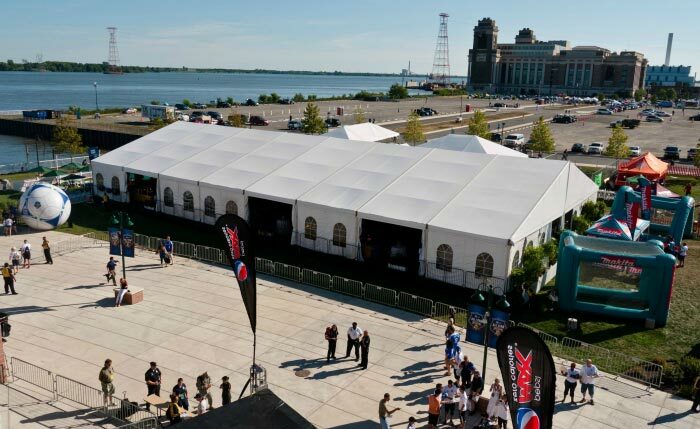 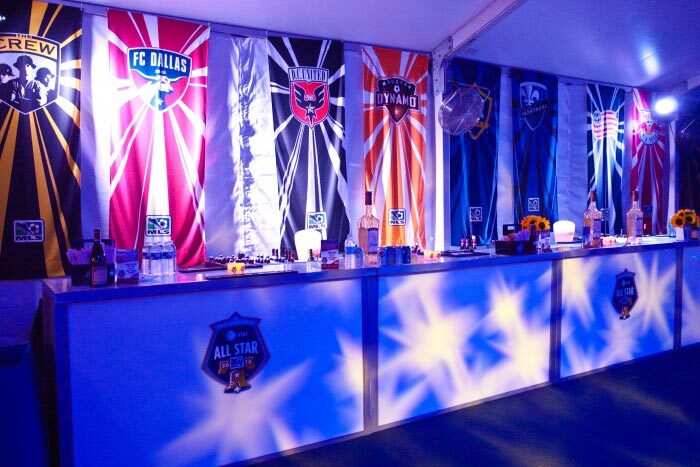 DFX was contracted to provide ambient lighting to the MLS Allstar Game’s VIP tent. 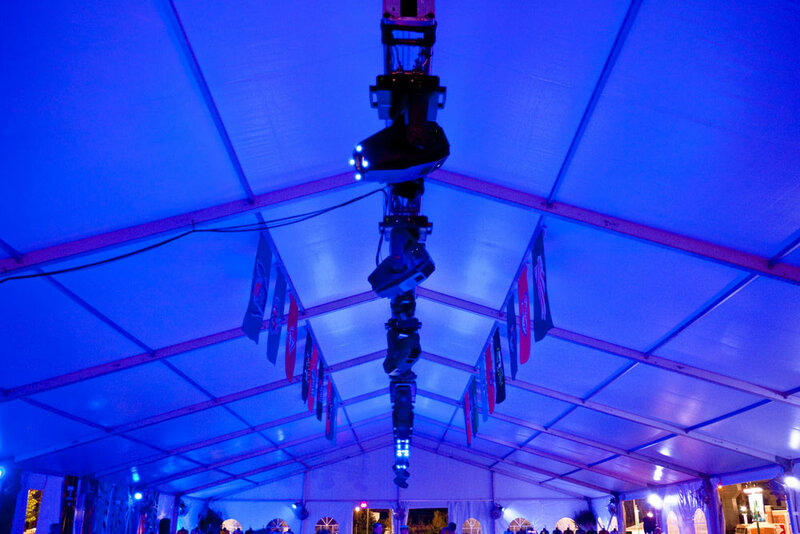 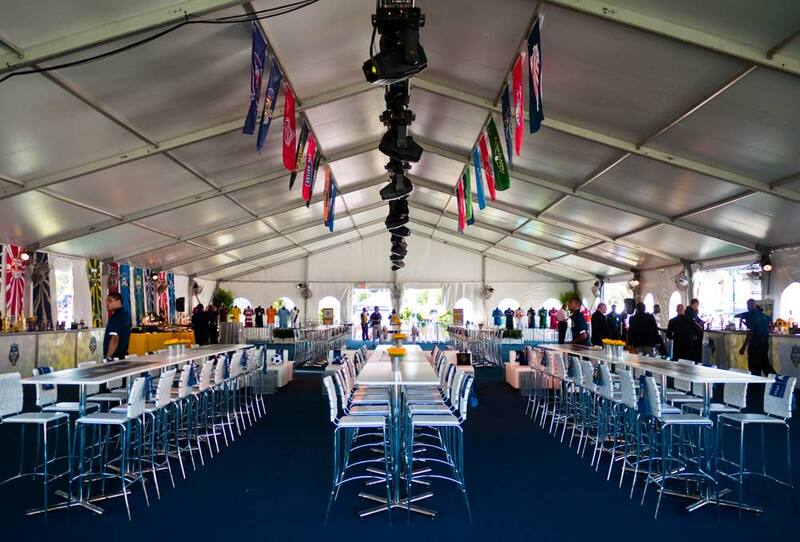 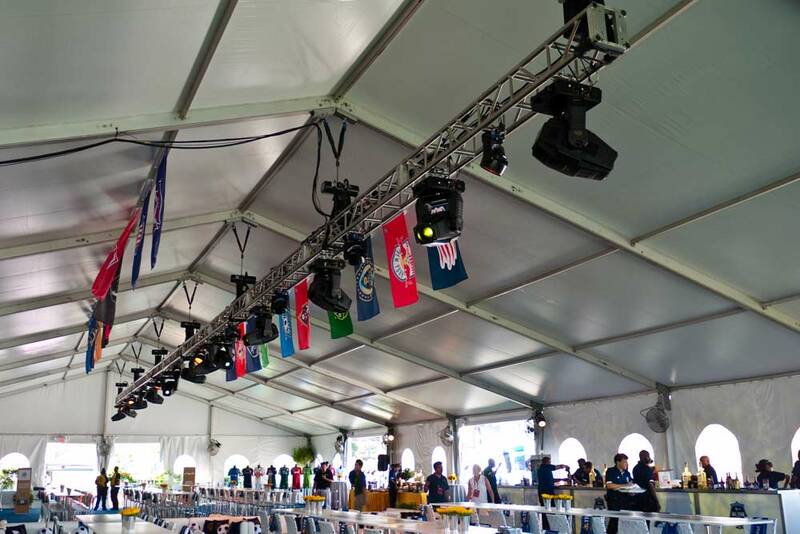 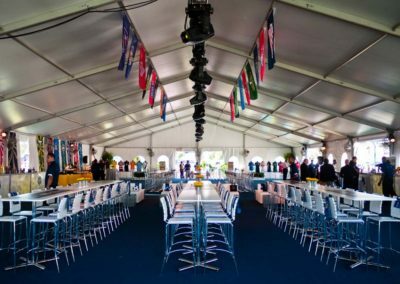 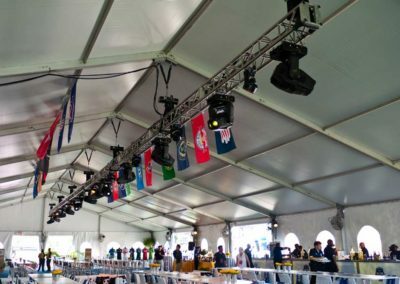 Our team rigged hoists to the ceiling of the tent, and assembled a long line of truss to hang. 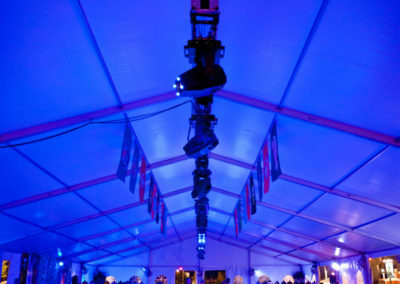 Dozens of moving lights, as well as static LED’s, combined to create a rich effect in the evening. 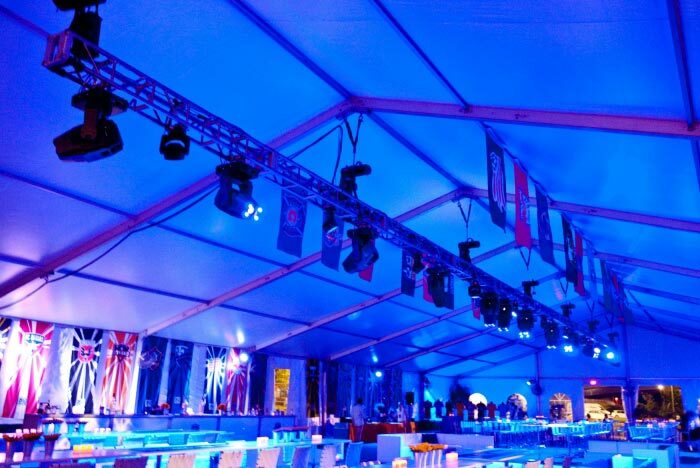 Outside the tent, DFX provided some globe string lighting and a custom gobo to finish the job.